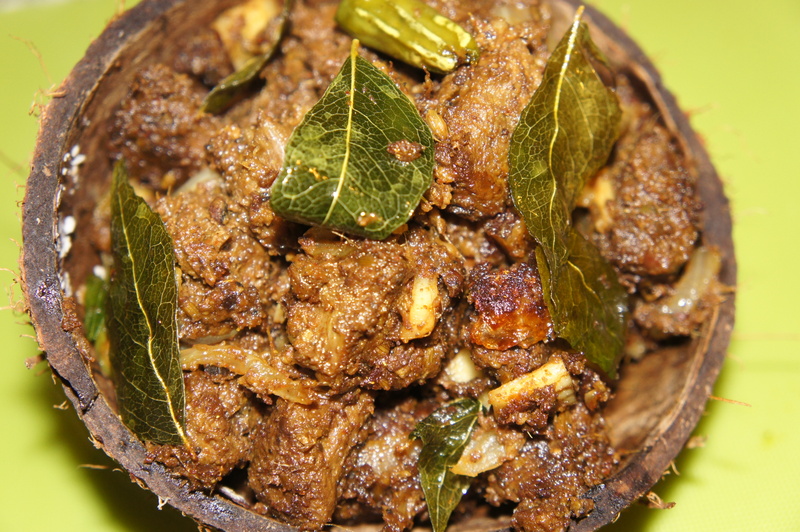 Curry Tree | Life's Conundrum - Eat to Live or Live to Eat? Shiv and I have come to love parsnips and are fond of parsnip soup, Parmesan crusted parsnips, parsnip chips and crisps. We found yet another way of enjoying parsnips by making this tasty salad. 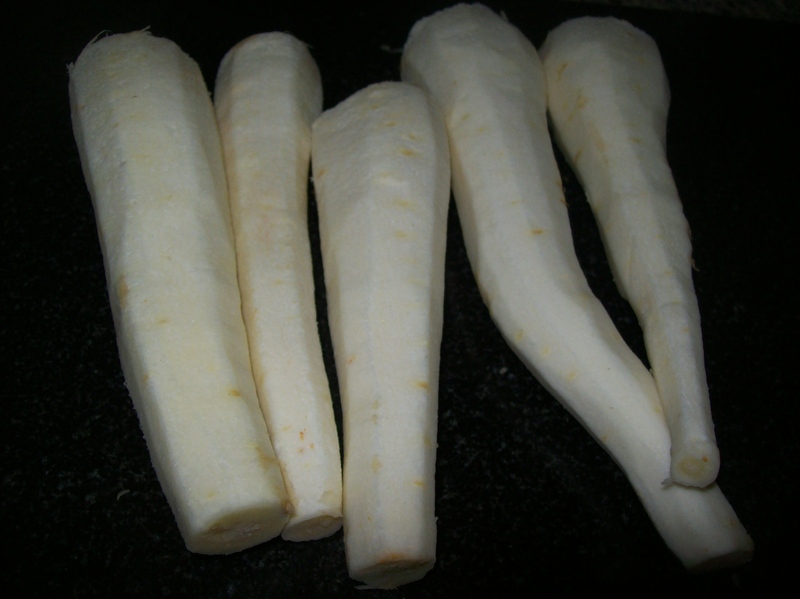 Peel, wash and finely grate the parsnips. Mix with salt and set aside. Heat ghee in a skillet. Add a pinch of asafoetida to flavour the ghee. Add the mustard seeds. When the mustard seeds splutter, add the urad dhal, peanuts, finely chopped shallot, garlic, curry leaves and green chillies. Fry till the peanuts are crisp and the garlic and shallot slices are golden brown and crisp. Put this on top of the grated parsnips. Mix well. Add the lime juice and voila you have a punchy parsnip treat. The advantage of growing our own vegetables is that we get to use a wide variety of leaves either in our salads or in our daily meals. Today I cut a whole bunch of radish leaves to make a family favourite. I’ve always loved sauteed radish leaves as a child and have introduced Shiv to this tasty dish after we started growing our own vegetables and he has developed a fondness for it too. Wash and chop the radish leaves finely. Make a coarse paste with the onion, chilies and garlic. Heat pan and add coconut oil, once hot add the mustard seeds. When the mustard seeds start to splutter add the pigeon peas and curry leaves and stir till the peas change colour. Add the paste and saute till the raw smell disappears. Add the finely chopped radish leaves and season with salt. Saute for a minute or two and then add turmeric powder and about half a cup of water. 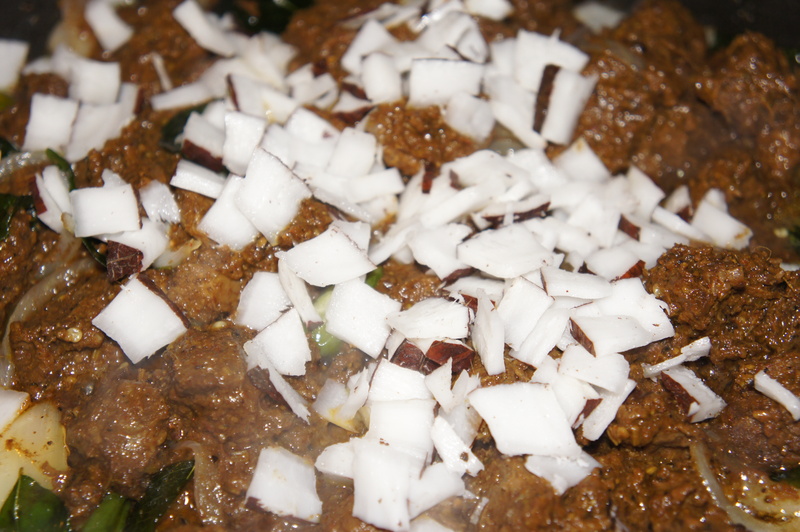 Continue cooking till the water evaporates and then garnish with freshly grated coconut before turning off the heat. 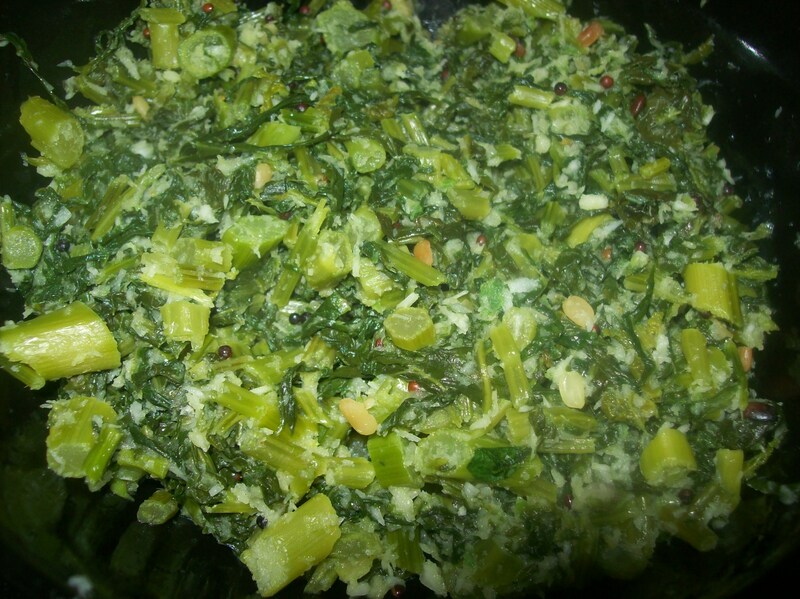 The same recipe can be used for french bean leaves, pumpkin leaves and tender cabbage leaves. We came across some lovely quince the other day while shopping in Hayes. They looked like big golden pears and smelt delicious. The fragrance was like a cross between the scent of an apple and pear. We have never eaten quince before, just heard of quince jelly served as an accompaniment to many meats. An online search revealed that quince had to be cooked and could not be eaten raw as it would be too sour. So I decided to make a spicy quince chutney (‘thokku’ in Tamil). 250 ml – just enough to fill a jam jar. The chutney keeps well in the refrigerator for 2 to 3 weeks. Boil the grated quince with about 300 ml of water, salt and the sugar. Let the quince cook so that the water reduces down completely. Heat the oil in a pan and add mustard seeds. When the mustard seeds splutter add the dried curry leaves and turn off the heat. Add the turmeric powder and chilli powder at this stage (residual heat in the oil should be enough to cook the spices). Add the boiled quince and mix well. Add the roasted fenugreek powder and asafoetida to the mixture. Check the seasoning before adding the apple cider vinegar. Mix well, cool the mixture before transferring into jar and refrigerating. This dish was our effort to replicate the delicious kebabs we have at one of our favourite haunts – Mirch Masala (http://www.mirchmasalarestaurant.co.uk/). Close but no cigar – Mirch has a definite je ne c’est quoi ingredient which we haven’t quite cracked yet. Mix all the ingredients in a bowl and make sure ingredients are well incorporated into the meat (the egg will help bind all the ingredients together). Finished article should look a dough ball but a lot softer. Cover the bowl with cling film/plate and allow the mixture to rest in the fridge for an hour before cooking. Pre heat oven to 190 degrees Centigrade (we us a fan assisted oven) – might need higher temp for conventional ovens. Now for the fun bit of moulding the kebabs. Get a bowl of cold water as this will help. Wet your hands and grab a golf size ball of mixture in one hand only and mould the meat to the desired shape (a small cigar) using your finger. If this is challenging then roll them into balls or shapes of your desire. Place the kebabs on a well greased tray and bake in the oven for 20-25 minutes. Turn the kebabs over half way through. 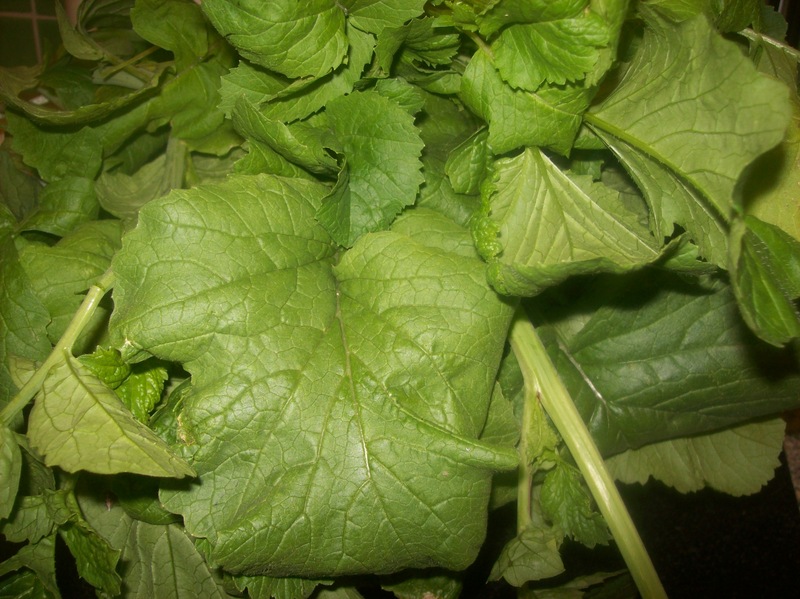 Serve hot with fresh mint and coriander chutney. Drain water from dahl and blitz in blender to a coarse paste. You should not need to add any water but if necessary add a few drops at a time. 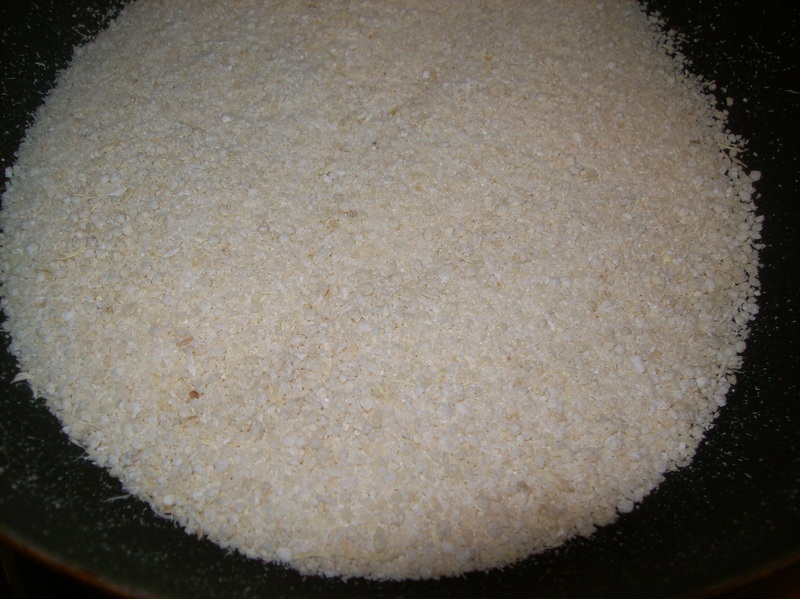 Transfer the coarse paste into a bowl and mix the other ingredients and get ready to fry (wait too long and the onions will let go of water and the mixture will become too soft and splutter a lot in the oil). Traditionally, one would make little patties on a sheet of plastic or form patties with wet hands bit we’ve found the easiest way is a tablespoon and butter knife. Scoop the mixture into a tablespoon and flatten (don’t want a thick patty – will not cook through) with knife and push patty into the hot oil. Cook till golden brown (turn the vadai’s over halfway through). Serve hot with fresh coriander and mint chutney. 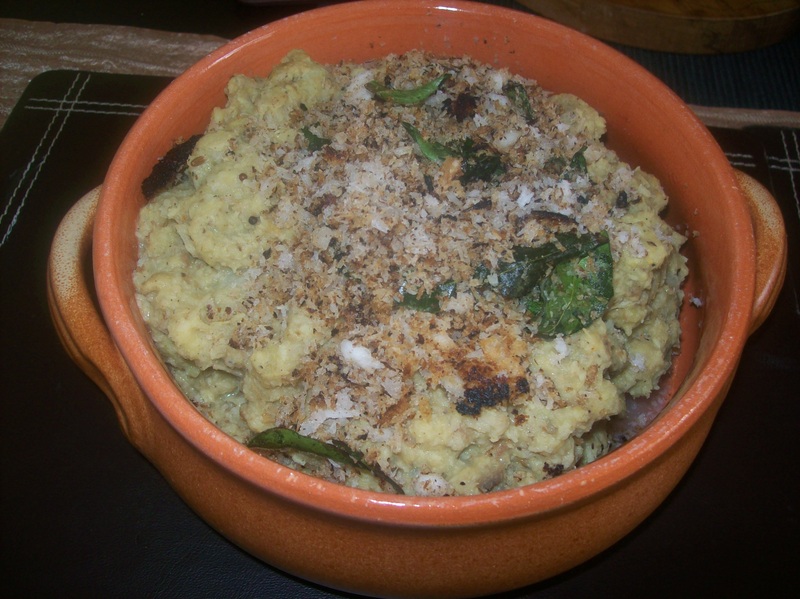 This has to be one of the simplest dishes to make but tastes divine. Shiv did not have Olan before marriage but now swears by it and makes it regularly. Place chopped courgettes, slit green chillies, curry leaves and salt in a pot and cook with a little water over low to medium flame. When courgette is cooked, add the pressure cooked black eyed peas and bring to a boil. Adjust the seasoning and then add coconut powder, stir till dissolved and then add coconut oil. 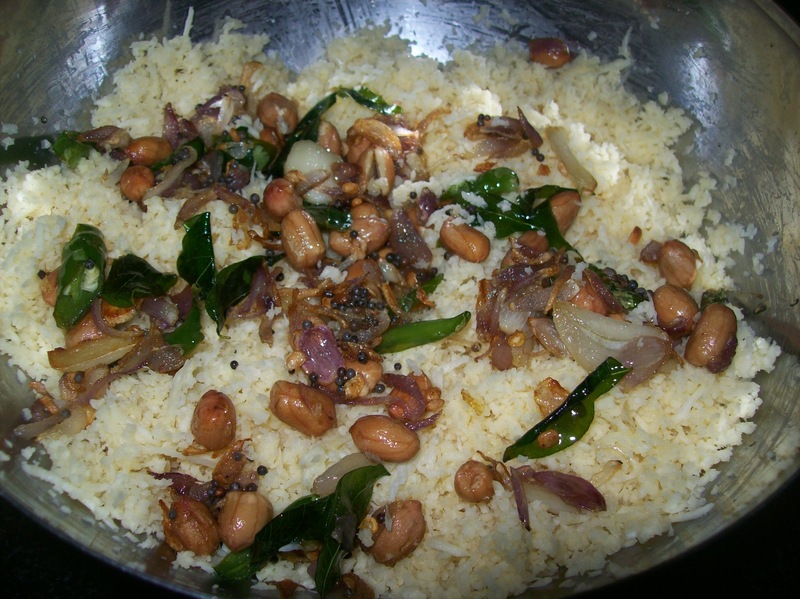 Done – switch off and serve with boiled rice. 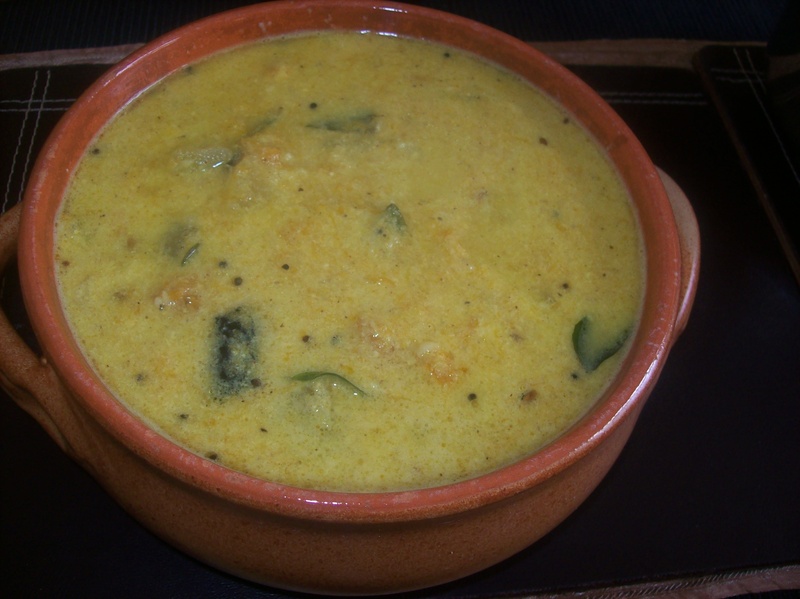 Shiv hadn’t eaten theeyal prior to marriage but has found it an interesting alternative to sambhar. Roast the above ingredients in coconut oil and grind to a paste with a little water if necessary. Heat the coconut oil in a pot and add mustard seeds. Once the mustard seeds have popped add the fenugreek seeds and curry leaves. Add button onions and saute for a couple of minutes. Then add the button mushrooms and saute for another couple of minutes. Add about a litre of water (should cover the mushrooms and onions). Add the turmeric powder, salt and strain the fresh tamarind and add to the pot . Let the mixture boil for half an hour on a medium flame till the raw smell of the turmeric goes. Add the paste to the mixture and bring to a boil and simmer for 10 minutes. Adjust the seasoning and serve with boiled rice or Indian bread of your choice. 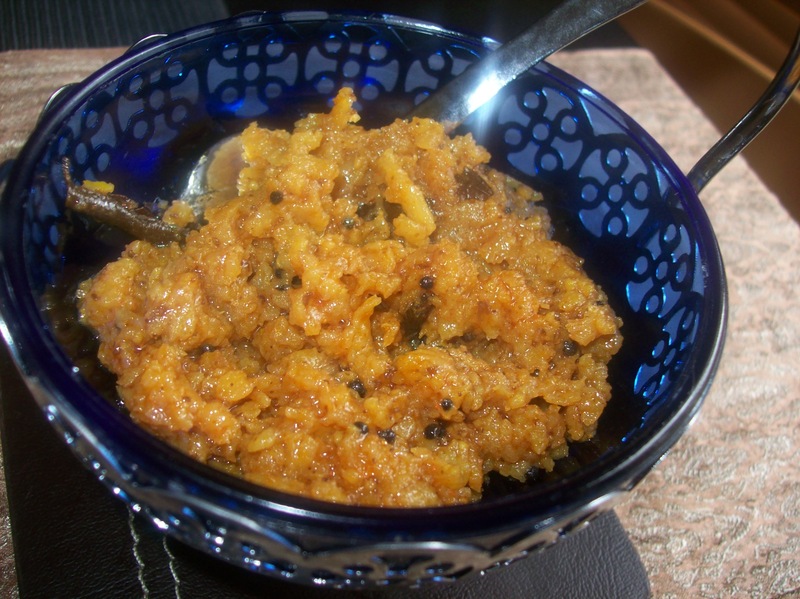 If you know someone that hates bittergourd (like Shiv) then here’s a recipe which hopefully will convince them to think twice. Mix all the ingredients in a big bowl and work the salt and turmeric into the bittergourd. Steam this mixture for exactly 2 minutes. Remove allow to cool for a couple of minutes before frying. Serve as a side dish or snack with drinks. 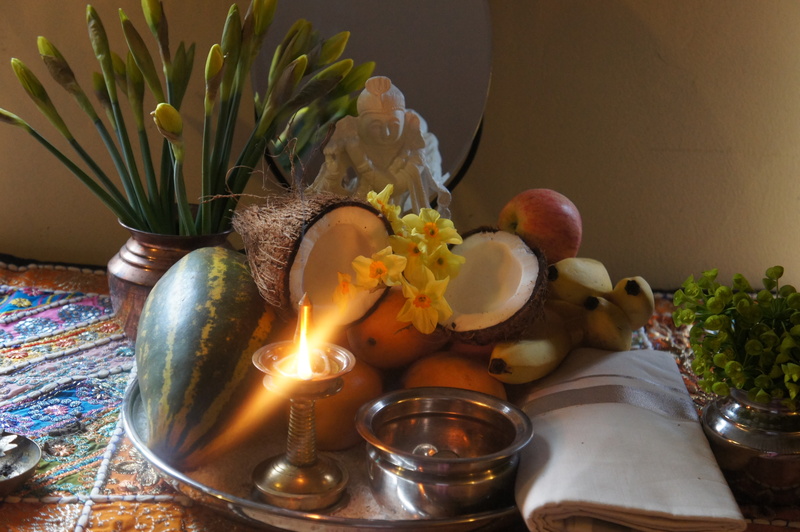 This is a recipe that Anna’s mum Saroja has passed onto us. The beauty of this is that she is a pure vegetarian but used to cook this for her late husband without tasting – wow does it pack some flavour. Grind all of the above to a fine paste using little water if necessary. Wash and cut the chicken thighs into 3 pieces each and mix with paste ingredients, salt and keep aside for an hour at least (the longer the better). Cook the chicken with marinade and all and add a cup of water. Cook the chicken till done – the masala should coat the chicken pieces and all the liquid should have evapourated (if there’s still some moisture, don’t worry this is not a problem – this should thicken on cooling or you serve a semi dry dish instead of dry!). Adjust the seasoning if necessary. 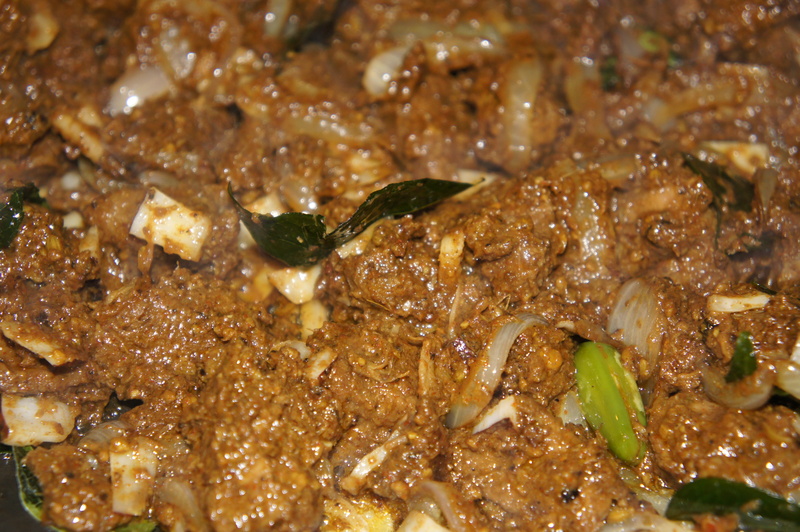 Heat the coconut oil in a pan and add curry leaves and sliced onions and fry for a few minutes. Then add the cooked chicken and roast over medium heat till the chicken forms a crispy crust (about 10-15 minutes). 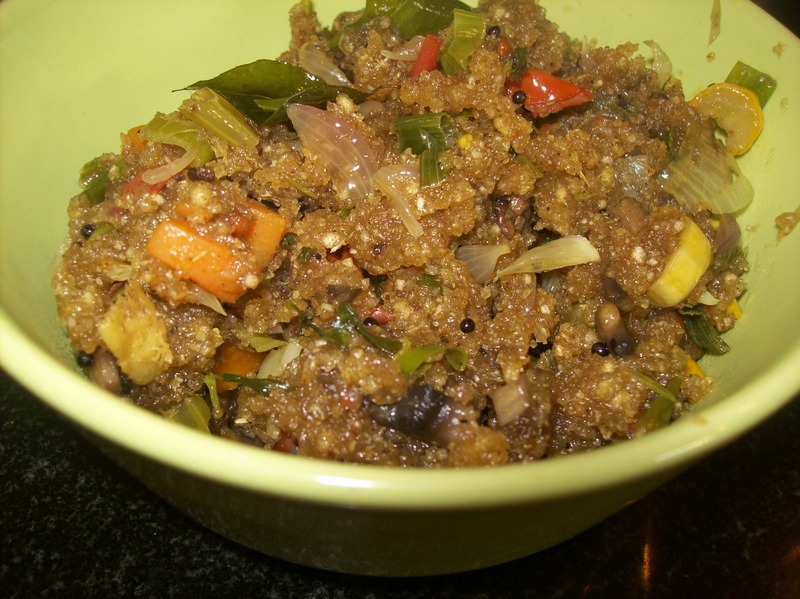 Done – serve with Kerala Paratha or as a starter with drinks. Place cooked rice in a large mixing bowl and allow to cool down a bit. Heat sesame oil in pan and temper the mustard seeds, red chillies, urad and channa dahls, curry leaves and asaefoetida. Once the dahls turn golden brown add the grated coconut and heat through for a minute. Add the tempering to the rice and salt to taste. For the garnish, heat the oil in a pan and add nuts and fry till golden brown – add sliced coconut and toast till brown. 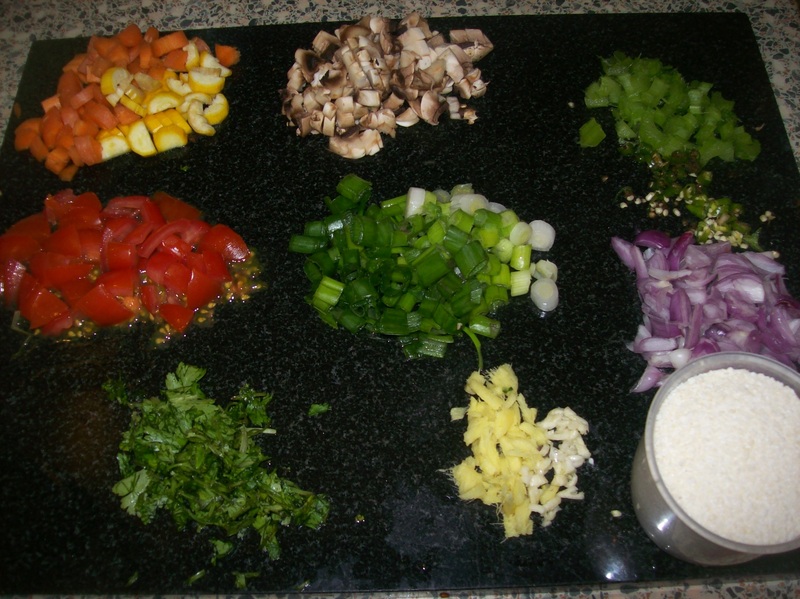 Add the garnish to the rice and serve hot.